On January 29 2014, Miley Cyrus’ MTV Unplugged concert aired on MTV. 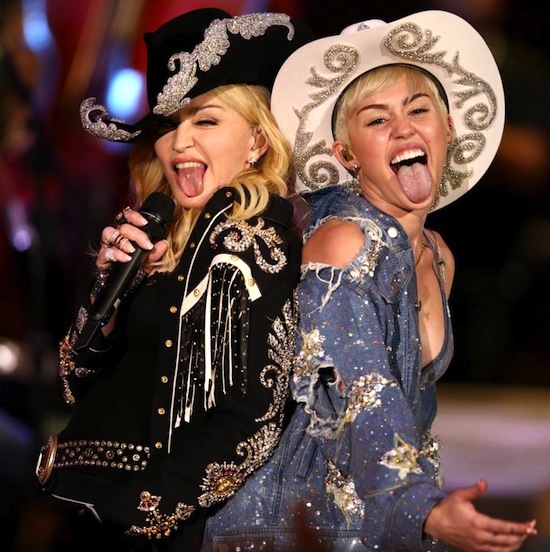 Madonna and Miley teamed up for a Country-Western mash-up of Don’t Tell Me – one of Miley’s favourite Madonna songs – and her own hit, We Can’t Stop. The performance was recorded in Los Angeles on January 28. On January 28 2014, Madonna joined Miley Cyrus for her MTV Unplugged concert, which was recorded at Sunset Gower Studios in Los Angeles. 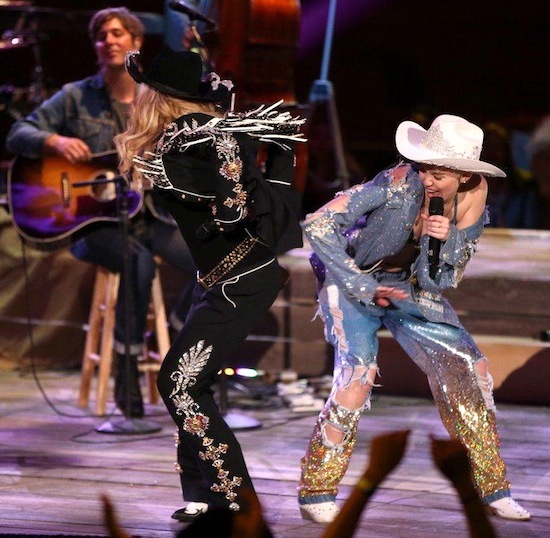 For the country-western section of Miley’s show, Madonna and Miley wore bejewelled cowgirl outfits to perform a mash-up of Don’t Tell Me (one of Miley’s favourite Madonna songs) and her own hit, We Can’t Stop. Miley’s Unplugged concert aired on MTV the next day (January 29 2014). The performance was recorded on January 28, and was recorded in Los Angeles.